Simba, fox terrier mix, went missing on January 22, 2018. Simba’s family posted his flyer around their neighborhood and posted on local Facebook pages. 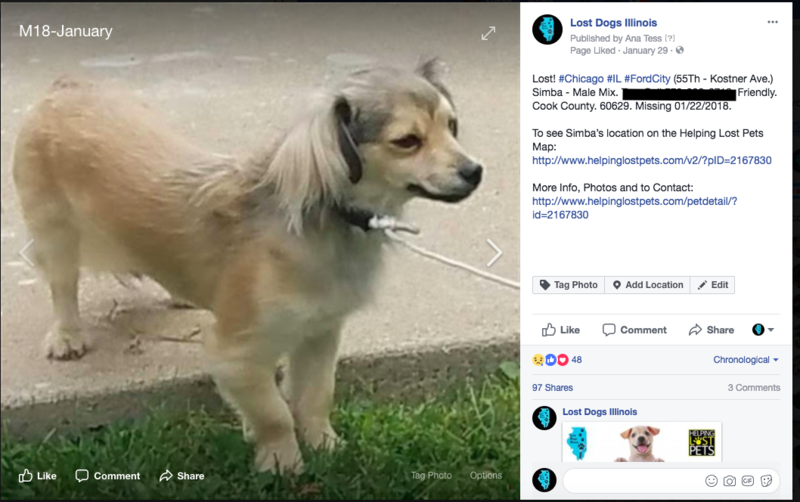 As we all know, many people still don’t know about Lost Dogs Illinois so Simba’s family did not file a report with us until January 29, 2018. 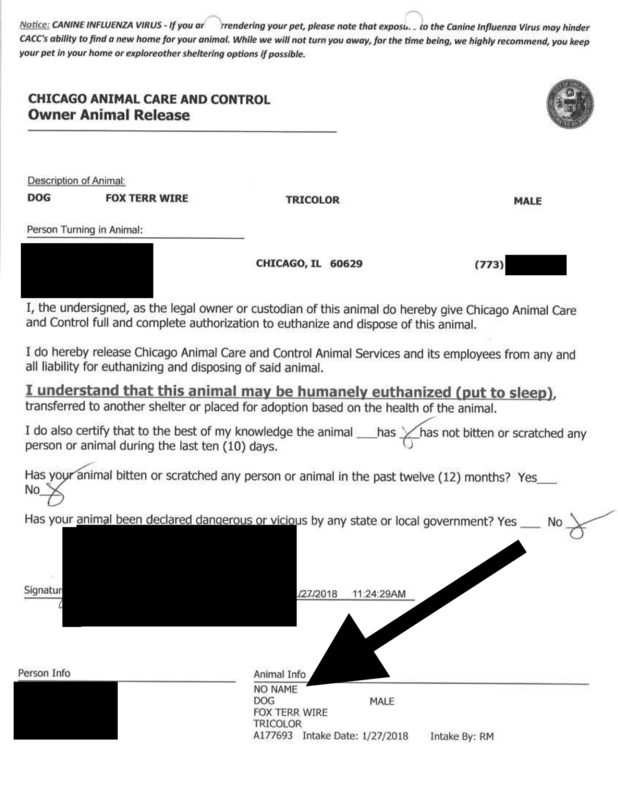 Copy of surrender form – dog’s name is no name with an arrow to that. its own program the same day he was surrendered. In our opinion, two red flags made this owner surrender suspcious but were unfortunately ignored. First the dog did not have a name. Second, there was no surrender questionaire done. Typically a rescue or shelter will ask questions about the dog’s medical history and behavior to help determine what he/she needs to be adopted into a new home. It is very important that shelters and rescues ensure that owner surrenders are indeed owned by the person who is surrendering them. Otherwise it is far too easy for someone to surrender a dog that isn’t theirs, as was the case with Simba. Luckily a Lost Dogs Illinois fan made the match to CACC’s Petharbor listing saying where Simba was transferred to. Our director contacted the rescue to let them know that Simba was a loved family member who had been reported missing. The rescue still required Simba’s family to pay an adoption fee instead of simply being able to reclaim him. An anonymous supporter paid for Simba’s reduced adoption fee. 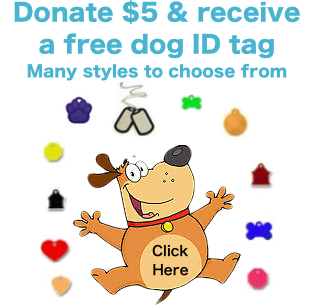 There is still so much work to be done for lost and found dogs. We need your help and cooperation! 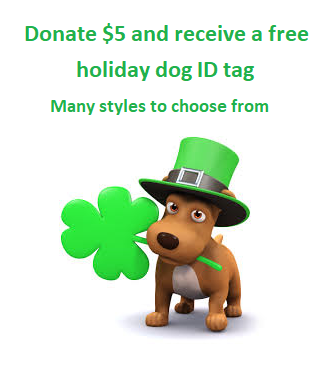 Keep promoting Lost Dogs Illinois on the neighborhood pages so that owners and finders know that they should file a report with us! If you know of shelters, rescues vet clinics and police departments that are not using our partner, Helping Lost Pets as a FREE centralized database to ist their impounded strays , please keep putting the pressure on them. By gathering all of the listings in ONE place, there is a much higher chance that a match will be made quickly. Here is the video of Simba’s reunion with his family. Simba did not need a new home; he needed to go home to the people who love him. I don’t think there will be a dry eye after watching this video. This entry was posted in Reunions on February 4, 2018 by Susan.